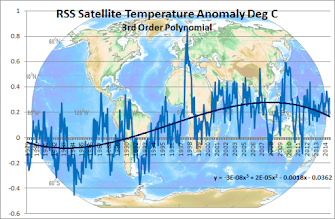 When you look at the BOM map of Australia showing temperature trends, on the border of Queensland and South Australia the graph is the rosiest showing a trend of more than .6 degrees per decade. This is where you find the tiny outback township of Birdsville famous for it's iconic race meeting once a year. Notice that Birdsville is located in the toastiest part of the predominantly pink BOM map in outback Queensland. 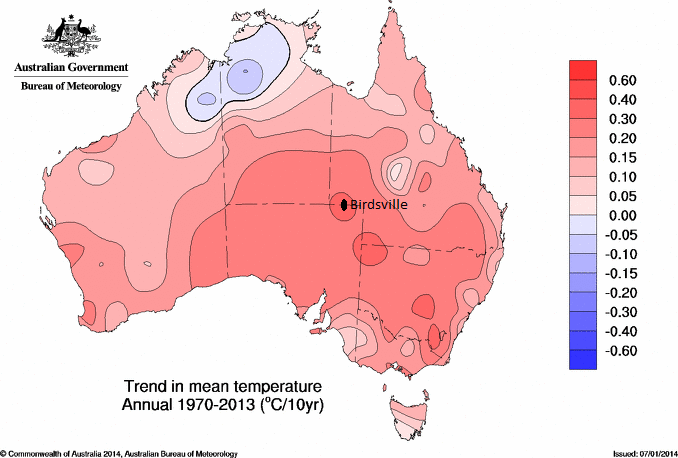 Actual BOM data from the Birdsville station shows about 1 degree of warming over 35 years substantially less than the two degrees indicated in the BOM map above. 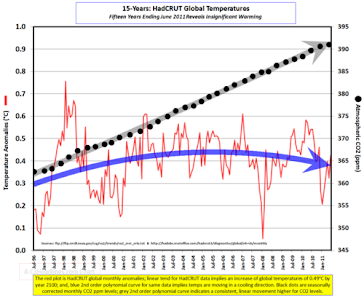 However even one degree would translate to 3 degrees by 2100 which if true would be scary. 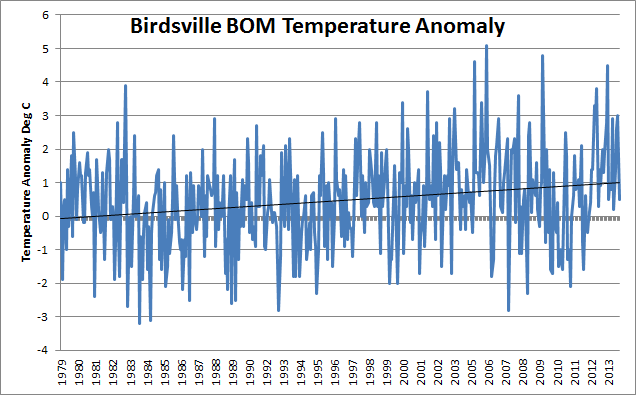 It is interesting that the BOM data does not peak in 1998 which would be expected and is shown in the RSS record below. 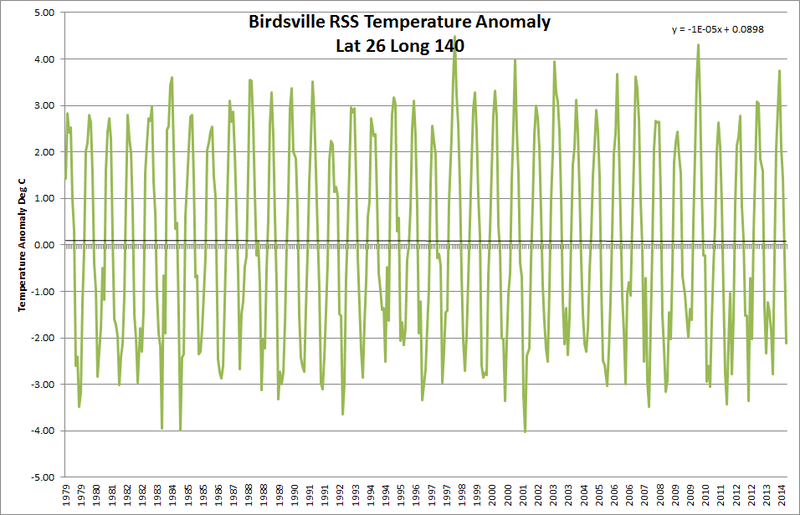 The RSS satellite temperature record for Birdsville shows a completely different story with virtually no warming over the time period.